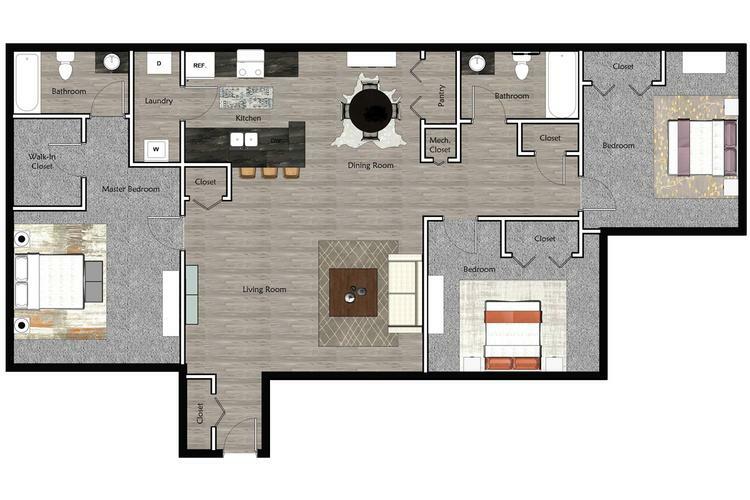 Our spacious three bedroom, two bath offers open concept dining and living room floor plan. The master bedroom with on-suite bathroom and walk-in closet will have all the space you want and privacy you need. The gorgeous eat-in kitchen with breakfast bar offers everything essential for upscale living!